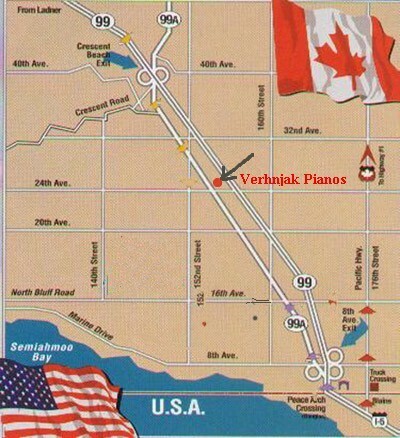 Karl Verhnjak started in the piano business in 1974 with his wife Eileen at his side. Together they ran the family business. 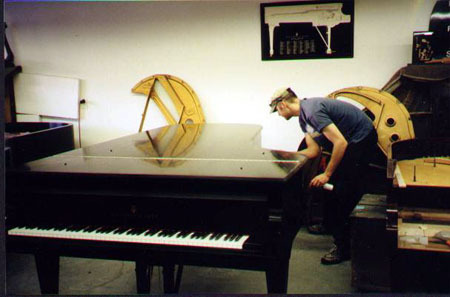 Karl started out tuning pianos for many stores and quickly developed a reputation as a quality piano technician. After many years of rebuilding pianos in the back yard shop they decided to open in a commercial location. This allowed them to be properly insured and have a better working environment. The first shop was in located in Coquitlam B.C. and K.V. Pianoman LTD. / Verhnjak Pianos was created. After a few years the shop moved to Port Moody to gain more space. In 1984 Karl, Eileen and their two sons Rod & Dave moved to White Rock B.C. where the current shop is today. Registered member of the Piano Technicians Guild Inc. (23 yrs). Past exclusive tuner for Vancouver Symphony Orchestra (10 Yrs). Past advisor to University of British Columbia (2 Yrs). Past Chief Technician for Tom Lee Music (13 Yrs). Past Technician for Vancouver Royal Conservatory of Music (8 Yrs). Past Technician for Kwantlen University College (11Yrs). Past Technician for Langley Community Music School (10 Yrs). Karl Verhnjak passed away August 9, 2003 leaving Rod and his wife Meranda to continue the family business. A few rebuilding jobs we have done for professional use. Rebuilt a STEINWAY & SONS 1917 Model A 6' 41/2" For the Jewish Community Center. It is in regular use for concerts. Rebuilt a STEINWAY & SONS 1958 Model D 9' Concert Grand for the Vancouver Civic Theatre. 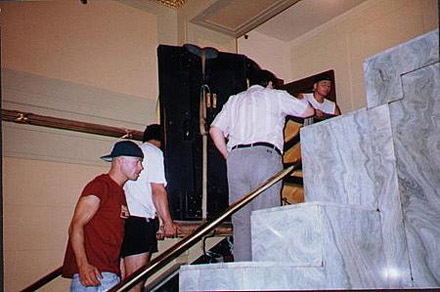 (Orpheum Theatre) It is in regular use for concerts. 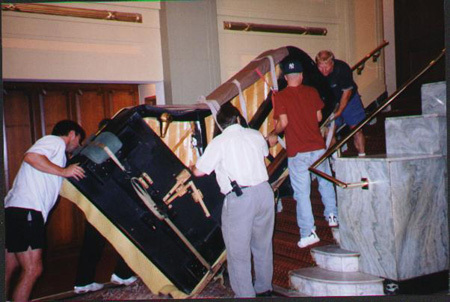 Pictures bellow illustrate a very difficult move of a newly restored Steinway & Sons concert grand. We restored this pianos for Georgian Club, Vancouver B.C. We've rebuilt a STEINWAY AND SONS Model D concert grand for Georgian Club. (Pictures above) We installed new sound board, bridges and pin block including all new action parts including the keys. It resided in the club for a couple of years. It now resides in Victoria B.C. Rebuilt a STEINWAY AND SONS Model D concert grand. It has new sound board, bridges and pin block including all new action parts including the keys with frame. Completed in may of 1998. This piano is now owned by Coast Recital Society on the Sunshine Coast in Sechelt B.C. and is used by very prominent concert pianists. Rebuilt a BOSENDORFER IMPERIAL grand for Tom Lee Music, PETROF 9' model III for Slava Senyshin, concert pianist and professor at Simon Fraser University. STEINWAY & SONS concert grand for Helen Silvester a former University of British Columbia professor. Serial Numbers of STEINWAY AND SONS grand pianos completely rebuilt by Verhnjak Pianos in recent history: We have refinished or rebuilt many actions for Steinway's not listed below. If a Steinway is for sale in our area, and has been rebuilt, these numbers will let you know if the instrument went through our shop. We have rebuilt many other brand name grand pianos and uprights. We are a rebuilding shop. At times the shop is closed while we do service calls. Please call ahead if you would like to visit us. We can not guarantee our hours of operation. Generally we are open Monday to Friday 9-6 And Saturday by appointment only.